Hiring a lukewarmer Bret Stephens by The NY Times to cover the climate debate is too little, too late. But he referred to an article by Andrew Revkin who had been a regular NYT climate alarmist. In this article My Climate Change, published in a small website issues.org more than a year ago, Revkin admitted to the alarmism, organized pressure, and more. It’s no secret that formerly respectable and mainstream media outlets have become fake news purveyors. Whatever it is that drove journalists to lie and manipulate, the evidence exists to prove their intent to deceive. Much like television commercials and print advertisements, news stories are written to sell the reader something. Many times, what the news outlets are selling is politically motivated. On almost any given topic they choose to cover, they’ve been seen to cherry pick quotes that are in line with their interests and agendas, to omit relevant information that may harm their stand on something, and to use language that falsely imputes guilt on Republicans and conservatives. In September 2016, WaPo published an article with the title: “Scientists published climate research under fake names. Then they were caught.” The subject of the article was one of the lesser known cases of suppression of climate dissent in formerly respectable peer-reviewed journals; suppression that’s supported by a formerly respectable media. That case clearly shows the impossibility for dissenters from climate alarmism orthodoxy to publish in scientific journals. The Washington Post’s reaction is an expression of its contempt for free speech, which includes the use of pseudonyms. Alexander Hamilton, James Madison, and John Jay wrote The Federalist Papers under the pseudonym (or the “fake name” according to WaPo) Publius. In The Federalist Papers they advocated ratification of the Constitution, seemingly another object of the WaPo contempt. Update (Apr 19, 2017): The NY Times switched from the “denier” to the “denialist“. newsdiffs.org shows six post-publication revisions in this single article, and highlights the changes. Listed below are 15 lies in this NYT article . This is after the article was corrected on March 4, 2017, two days after it was originally published. Communazi — a leftist who adopted ideology of racial and/or ethnic hatred. FSM — Fakestream Media. Former mainstream media, except for the Fox News. Pluto-Communism — a shared goal of the far Left and Silicon Valley plutocrats, supporting it. Pluto-Communism combines features of conventional communism (use of three-letter organizations against the opposition, silencing dissenting speech, impoverishing workers, and persecution of traditional religions) with forced transfer of the wealth to selected plutocrats, supporting the Pluto-Communist ideologue. Because suppression of speech and violation of other inalienable rights of citizens is conducted through plutocrat-owned corporations, some people are slow to recognize that such regime is anti-Constitutional. The Obama administration has moved us halfway toward this goal. The long-observed phenomenon of newsmaking – where the media is creating events instead of reporting them – has long been in existence. The fake news networks (FNN) widely reported a demonstration of about 150 alleged tech workers against President Trump in connection to the immigration order. The photos from the demonstration show massive presence of UNITE HERE! – an extremist union whose captive membership consists mostly of unqualified workers. This collage attempts to capture the spirit of the demonstration. 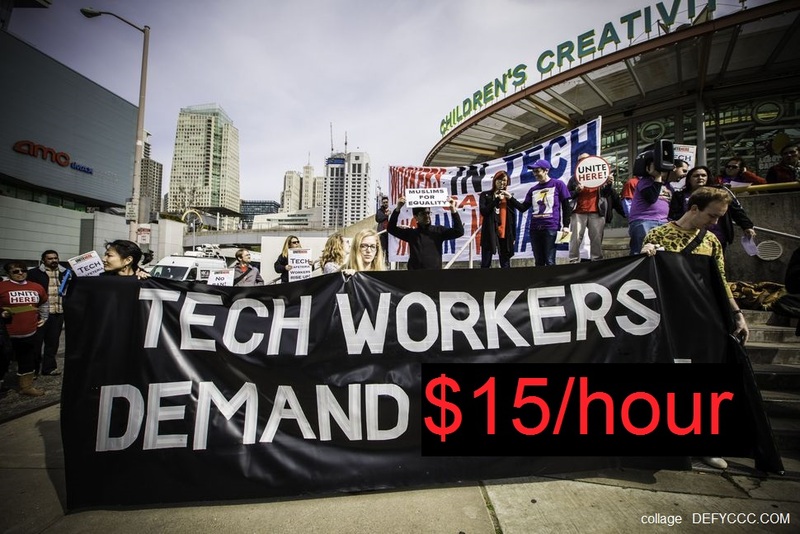 The original photo had the word ‘justice’ in place of ‘$15/hour’. I appreciate the sacrifice of these tech workers (if there are any; see the fake scientists demonstration) for the sake of profits of their employers who advocate unrestricted immigration from low-wage countries that replace American tech workers. 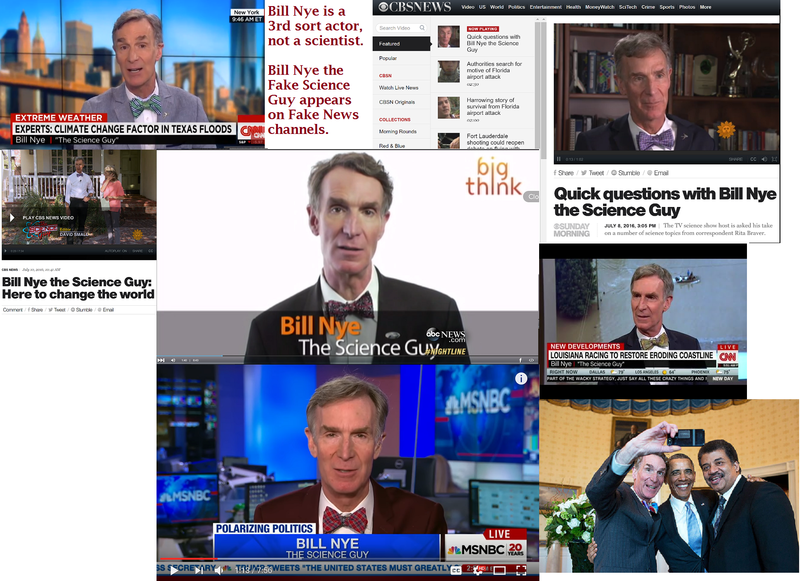 Updated 01/05/2017: added another photo of the same fake scientists rally, presented as a fact by Poynter, a self-described fact-checker and “global leader in journalism”! 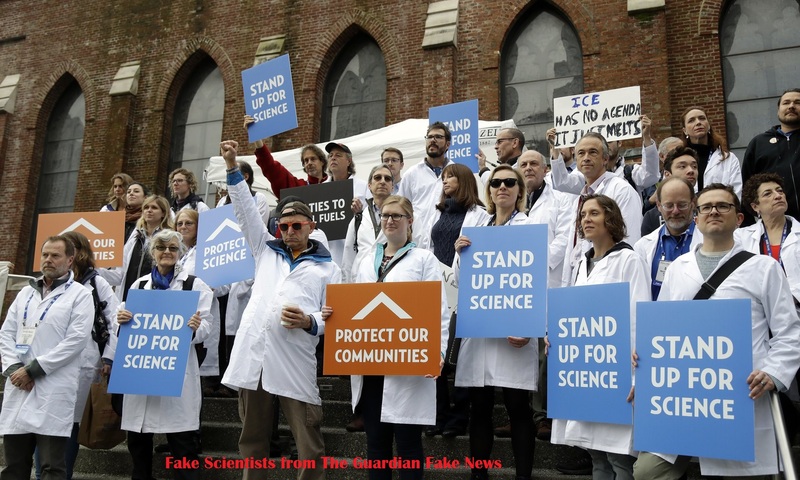 FAKE NEWS: “This is not normal – climate researchers take to the streets to protect science,” according to The Guardian. The article purports to describe and illustrate a rally, held at AGU16 in San Francisco on December 13, 2016.